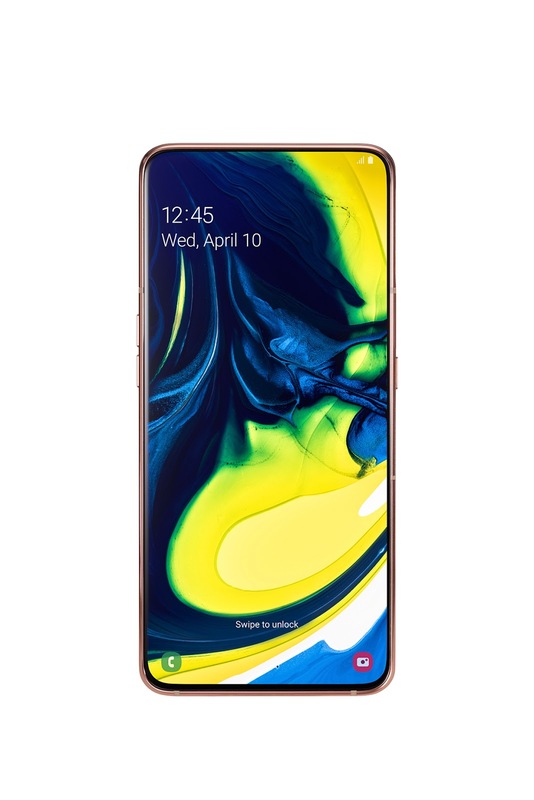 Samsung has unveiled a new addition to the Galaxy lineup -- the Galaxy A80, new smartphone that features Samsung's first rotating camera. 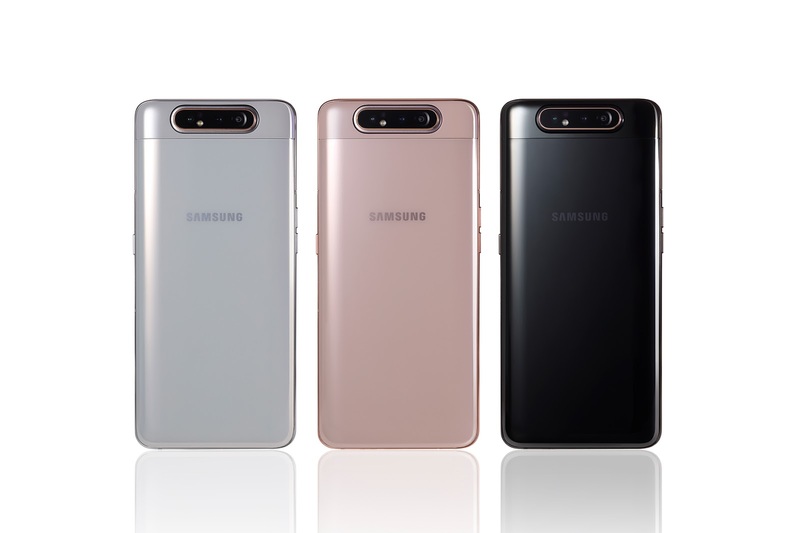 The A80 comes with three cameras that automatically pop up from the back of the phone and rotate when users select the selfie mode in the camera app. It comes with a 48MP main camera. Just to clarify, The Galaxy A80 doesn't support the use of an SD card, making its 128 GB internal storage the limit it can go. The new smartphone comes in Black, White, and Gold colors.